Description: An abstract mountainside design comes to light with this striking Solid Brass pier mount, which features a Beige art glass diffuser. 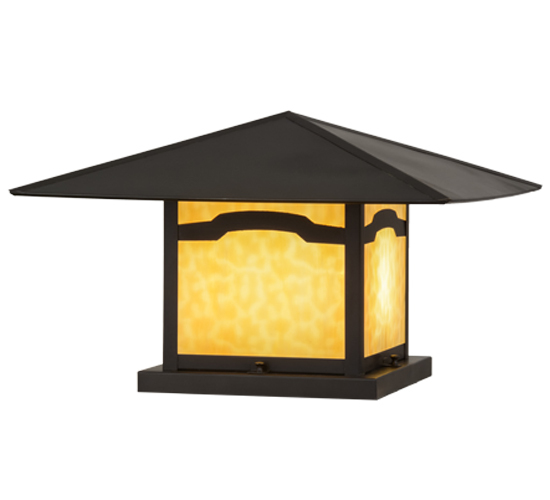 The luminaire is complemented with hardware and accents featured in a warm Craftsman Brown finish. This Craftsman Signature fixture, which is listed for indoor and outdoor lighting applications, is handcrafted by Meyda artisans in our Yorkville, New York manufacturing facility, at the foothills of the glorious Adirondack Mountains. Custom styles, colors and sizes are available, as well as dimmable energy efficient lamping options.